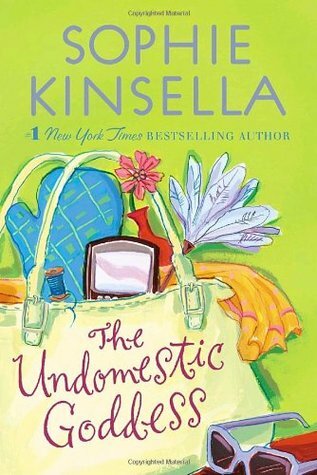 The Undomestic Goddess by Sophie Kinsella is a standalone contemporary romance that is typical of the author’s style, quite humorous and a bit over the top. Samantha Sweeting is a lawyer who knows nothing other than her job. Working every day of the week for seven years trying to make partner Samantha strives for perfection. One day though just as she is about to be named a partner in the firm Samantha comes across a paper on her desk that did not get filed in time costing a client 50 million. Samantha doesn’t make mistakes but this time she did and she doesn’t know how to face the consequences. Needing time to think Samantha jumps on the nearest train and heads away from the fallout that is sure to come from her costly error. Not knowing where she’s ended up Samantha knocks on the nearest door and finds herself mistaken for someone applying for the job as housekeeper. Instead of correcting the mistake Samantha stays on until she hears word from her job. I have to admit the believability factor on this one is pretty low with a high powered attorney ending up cooking and cleaning but that’s also what makes it so much fun. Very much a comedy of errors from the one mistake it snowballs into so much more that you can’t help but chuckle and laugh along. The story then becomes a romance and looks at just what could/should or would make someone happy. A fun read from start to finish. 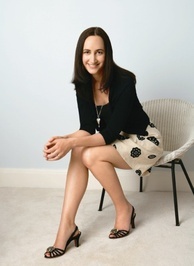 Sophie Kinsella is a writer and former financial journalist. She is the number one bestselling author of Can You Keep a Secret?, The Undomestic Goddess, Remember Me?, Twenties Girl, I’ve Got Your Number and Wedding Night, the hugely popular Shopaholic novels and the Young Adult novel Finding Audrey. She lives in London with her husband and family. She is also the author of several bestselling novels under the name of Madeleine Wickham. Visit her website at http://www.sophiekinsella.co.uk.